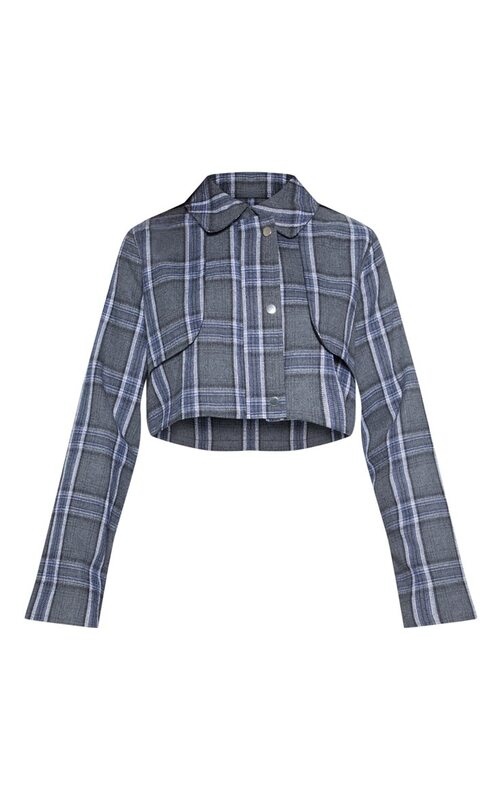 Give your work look an edge with this biker jacket. 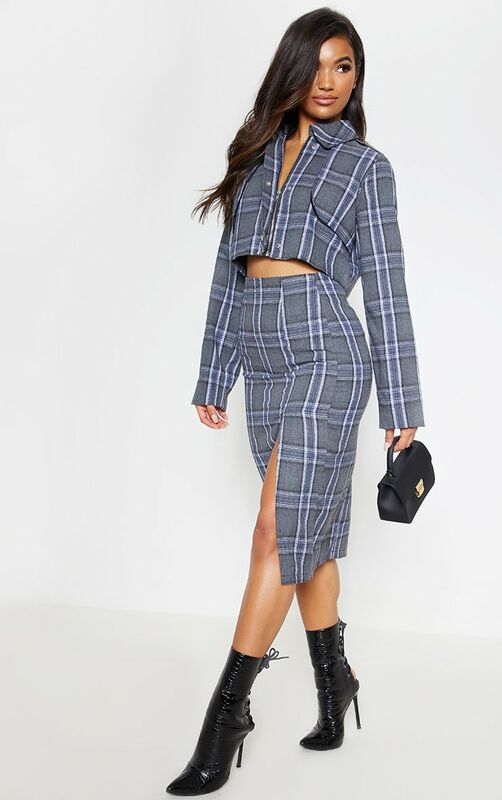 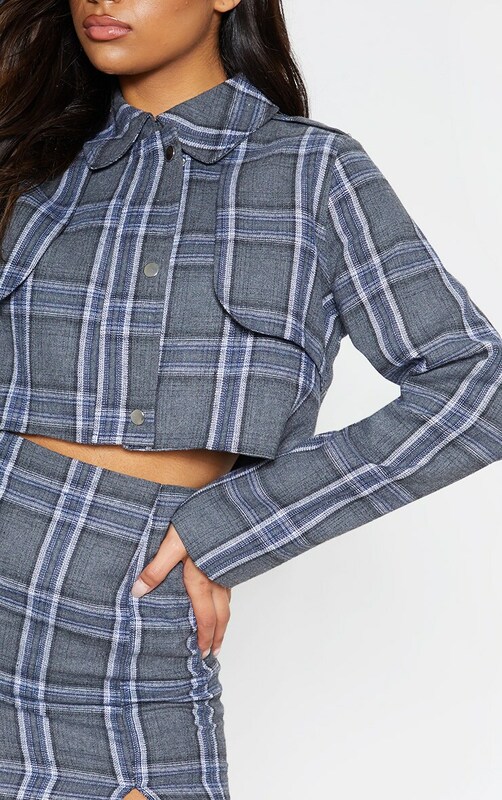 Featuring a grey check print material with a zip fastening and a cropped length, we are obsessed. 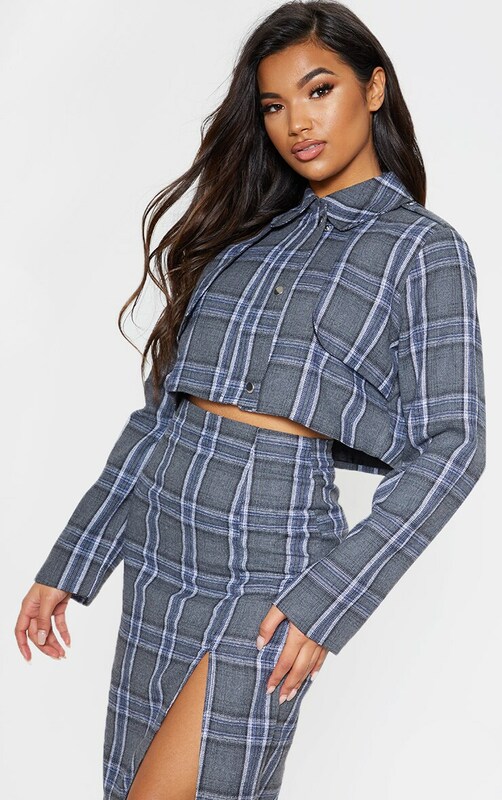 Team this with a slogan t-shirt and the matching skirt to complete the look.